You Love YouTube Videos. We Love YouTube Videos. See a Batch as DeLand 2017 Arrives! Are you a YouTube fan? I don’t mean the company or its owner Google/Alphabet (which has removed videos for reasons only a YouTube censor could comprehend). What I’m a fan of is YouTube content creators. Like literally billions of other people, I’ve come to depend on YouTube videos, whether for pure entertainment or when I’m trying to fix something in my house or on my car. As you probably know, YouTube will almost certainly have not one video to help or delight you, but dozens …on the same topic. More than 300 hours of video are uploaded to Google’s computers every minute of the day, 24×7. Amazing! More than 5 billion videos are watched every day by more than 1.3 billion people (and that’s without China’s 1.3 billion people as the government does not allow YouTube in that nation). However, this post is not to sing the praises of YouTube but to bring to your attention the yeoman’s work done by my video partner, Dave Loveman, whom I’ve come to call “Videoman Dave,” because unlike yours truly, he tends to shy away from being the on-camera guy or even promoting his name. Videoman Dave …the face you rarely see, yet know. If you are one of more than 32,000 subscribers to his YouTube channel, you already know this man is one of the most prolific videographers in all of aviation and one of the top among any group you can cite. You get to see me in many of his videos — we’ve done more than 500 together, since beginning in 2008. However, I’m just the so-called “talent,” where Videoman Dave is the person that assembles, edits, and publishes videos in great quantity and with excellent quality. Many people have shot video or told worthwhile stories using this medium. A smaller number of video producers have created excellent shows with high production values. 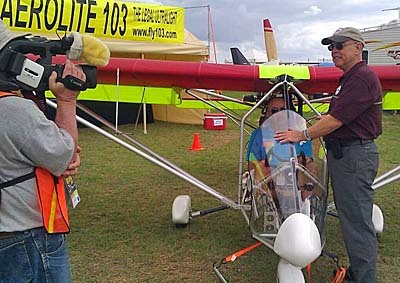 Yet few to none of which I am aware have so consistently for so long produced so many videos of interest to so many pilots …especially those of us who enjoy light aviation — LSA, light kits, or ultralights. 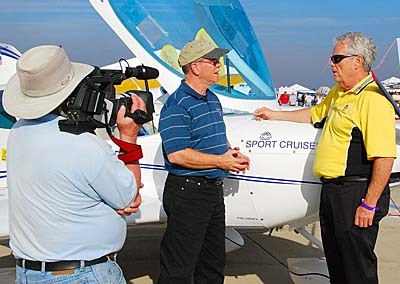 In the light aviation community, Videoman Dave is the top performer, though I admit to some bias here. What’s Valuable about this Work? Before any of the light aircraft shows, Dave releases a veritable flood of new videos that highlight specific aircraft you can expect to see at these events. The upcoming DeLand Showcase — starting in less than a month, running November 2-3-4, 2017 — is no exception. Below you see one of the first but listen to this. He has already produced and uploaded another seven videos and plans to continue this pace right up until DeLand starts. See a new one every other day! If you like the videos you see on Videoman Dave’s YouTube channel, I urge you to subscribe and help keep them coming. If you’ve ever tried to edit a video you know how many hours are invested to produce a single 5-minute video. 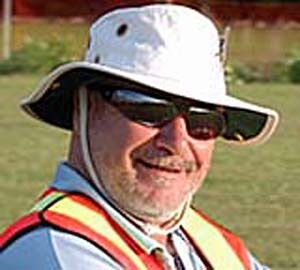 Now remember he has done more than a thousand on aircraft and topics of particular interest to the light aircraft enthusiast crowd. Subscribe annually or pay once for lifetime access (a terrific, money-saving deal, BTW). You’ll be supporting a most worthy effort, in my humble opinion!